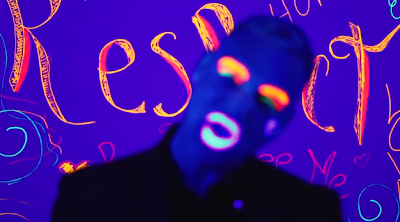 WAIST HIGH: Erasure Releases Video For "A Little Respect (HMI Redux)." Erasure Releases Video For "A Little Respect (HMI Redux)." Erasure have recorded a brand new version of their 1988 song "A Little Respect" and the amazing video, directed by filmmaker Jason Stein, is now up at the Mute Channel. Erasure wanted to do something special to spread a message of tolerance and to help raise funds for an organization that is on the front line for gay and human rights and all proceeds from "A Little Respect (HMI Redux)" will be donated to The Hetrick-Martin Institute, the nation's oldest and largest LGBTQ Youth Service Organization. The video was filmed in New York City in the West Village and features Erasure lead singer Andy Bell, HMI youth and many other passers-by.